Are You There God? It’s Me, Liz. The ache in my jaw told me they were coming. It always cramps when BIG tears are threatening. People walked to and fro outside of my office door, so I had to hold the body-wracking sobs at bay. My jaw ached more. My throat tightened. I used the pain to focus and push through what I needed to do. Kids are counting on me and I was just reminded that I’ve failed another. This weekend, for the umpteenth time, I needed to make sure that my kids know that whoever they are, whoever they love, I will actively, fiercely love them. Also this weekend, the United Methodist General Conference is meeting to discuss whether they will split over fully embracing their LGBTQ members. In 2019, many people are still confused about how to love each other in a way that makes people feel loved, which shows me they are still confused about God’s Love. My name is Liz Hamor. My pronouns are she/her. I am the Director of GLSEN Kansas, a local chapter of a national organization that works with K-12 schools to ensure that every member of every school community is valued and respected regardless of sexual orientation, gender identity or gender expression. One sad discovery from this journey is that many people who want to be called “allies” aren’t actually willing to put in the work to do allyship. Sometimes it’s just because they don’t know how and need some help. Other times it’s because they still need to learn one of the main lessons of doing allyship: It’s not about them. It’s not about receiving praise, it’s not about their own feelings, it’s not about staying comfortable while others LIVE uncomfortably. Several months ago family members chastized me for commenting on another family member’s FaceBook posts that included a meme that had homophobic undertones. Now, the family member who posted it didn’t realize it held homophobic undertones, and I was aware of that. However, I am also aware that there are at least two groups of people who would recognize the bias… LGBTQ people, and those who are anti-LGBTQ. I sometimes feel like losing my cool isn’t professional, but sometimes one has to be allowed to be human, right? Maybe I’m not always professional. Maybe sometimes I’m just real. 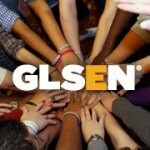 Maybe society (especially FaceBook) should come with Community Agreements like our GLSEN presentations and workshops. When we set agreements like: Lean into Discomfort, Call In instead of Call Out, Oops/Ouch, and Use the Language You Have, we set expectations that IT’S OK to make mistakes because that’s how we learn. Yes. An ally is all of those things, but is not ONLY those things. GLSEN research shows that visible allies play a crucial role in ensuring that LGBTQ students feel safe in K-12 schools, but what if I tell you that being an ally in the ways described above isn’t enough?That in order to make a difference, you need to DO allyship? So what does allyship look like? It’s Sunday, and I missed church. Again. This time it was so I could sleep in, though usually it’s because of soccer. I used to feel like I needed church, because I was seeking something… God, belonging, friends… I no longer need church for those reasons. I’ve found them all by following my calling. I’m reminded every single day that I’m part of a bigger plan, and all I have to do is show up so the Universe can make the magic happen. I don’t even have to be confident, qualified, or have the right words. I just have to show up and everything falls into place. That’s the beauty of being called. God doesn’t call the qualified; God qualifies the called. I think most people believe that following a calling means everything will be easy, though, and that isn’t at all the case. Showing up means vulnerability. For someone who would prefer to be invisible, it means visibility. It means taking risks, messing up, getting uncomfortable. It means allowing your heart to break wide open when tragedy happens, and trusting others to hold your heart tenderly when you expose it to them. It means learning to have patience and/or thick skin when others don’t understand your journey. Following my calling also means that every night I get to go to bed knowing I’m living in my purpose. And SOMETIMES, when I’m lucky, I actually get to see the impact of my willingness to show up. This week contained all of the ups and downs. I started the week in AWE and humbled by the opportunity to mentor three interns who chose to learn from me, because of the way I show up in the world. Later I cried so hard at injustice that I literally pulled a muscle in my neck, and showing up felt almost impossible but I did it anyway. Then I ended the week once again in awe after seeing the generosity of people who believe in our work. One of my interns who is a kindred spirit and is just beginning to follow his calling asked me why he and I are so awkwardly awkward, and I told him, “It’s because we choose to live authentically. Others are wearing a mask that I refuse to wear,” and he found that profound and empowering. So I might have missed church this week, but I saw God, created my own belonging, and was surrounded by friends who believe in me whether or not they believe in God and callings, so basically, I still did church. The words were mine. Silent thoughts challenged the calling I felt tugging at my heart. I believed them. I stayed small and quiet. The tugging at my heart became so painful I had no choice. I understood I was not the right person, but if I don’t act, who will? I looked, listened, waited. There were no other volunteers. Doubt was powerful, but I was born obstinate. I defied the doubt. Magic began to happen. I know a lot of people are choosing a single word this year to focus their 2018 goals. I have a friend who’s chosen “simplify” and several others who’ve chosen “intentional” for their words. For them, this single word will become a mantra, a guide, to lead them through the year that they want to have.